Standalone power meets multi-room capability in the Revo Supersystem. Able to connect wirelessly to a wide variety of sources, including DAB+, FM, and Internet radio, Spotify Connect, and Bluetooh, this system uses UNDOK technology to share audio with multiple other systems, while you control the proceedings from an iOS or Android device. It uses an 80 watt Class-D amp to power the twin 3.5" BMR flat-panel drivers and ported 6" subwoofer, and looks great doing it, with a wood cabinet in American walnut or subtle matt paint finishes, and a front fascia and grille crafted from anodized 6000 series aluminium. You don't stand or sit in one place all day. But most speakers are made to direct sound to once certain point. The HiddenHub Smart Speaker is not. Using a 360-degree speaker array and advanced sensors, it analyzes the shape and acoustics of any room you set it in, then adjusts the audio as needed to match the space. It's completely wireless, with support for Bluetooth, AirPlay, and DLNA, can connect with Hidden Speaker units to create a whole-home system, has hidden, touch-sensitive controls for both playback and volume, LEDs that let it serve as a light source, and proximity sensors that let it sense when you enter the room and start playing right where you left off. Completely redesigned from top to bottom, Bowers & Wilkins 800 Series Diamond Speakers represent a rebirth for the long-running high-end audio line. The family includes the flagship 802 (pictured), 803, 804, and 805 models, and features an all-new cabinet that's formed from a single curve, with a solid aluminum "spine" holding it together. Aluminum is also used to build the Turbine head, which holds the Diamond tweeter and redesigned midrange driver, while the bass drivers, using an Aerofoil cone design to reduce distortion, sit in their own aluminum pods. 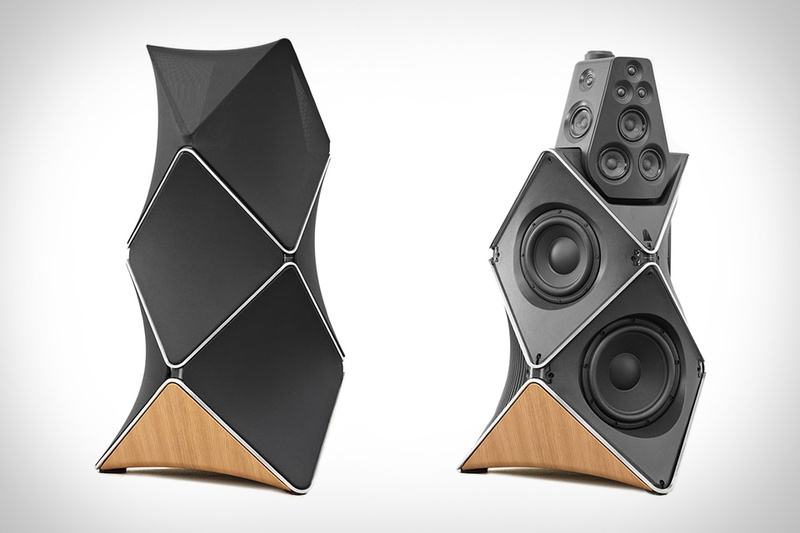 The result is a speaker that offers incredible depth and clarity, and looks almost as good as it sounds.